My parents just returned from a trip to Bermuda (yes, I hate them too 😉 ) and while laid over at the Atlanta airport made a pit stop at P.F. Chang’s. P.F. Chang’s at the Atlanta airport has a different menu from other locations. They open at 6:30 am and serve fried rice for breakfast. How cool is that? They also have a house lemongrass soda that knocked Mom’s socks off so much so that she had to try to recreate it at home. Lemongrass soda recipes found around the web all require the boiling down of fresh lemongrass. Even if we could find fresh lemongrass in this one-horse town (you’re doing good to find cilatro here so….) I don’t feel like boiling or straining anything for a refreshing drink on a triple digit day. Solution? Young Living Lemongrass Essential Oil* In addition to being convenient and available, it’s cheap. Only 5 cents per drop. 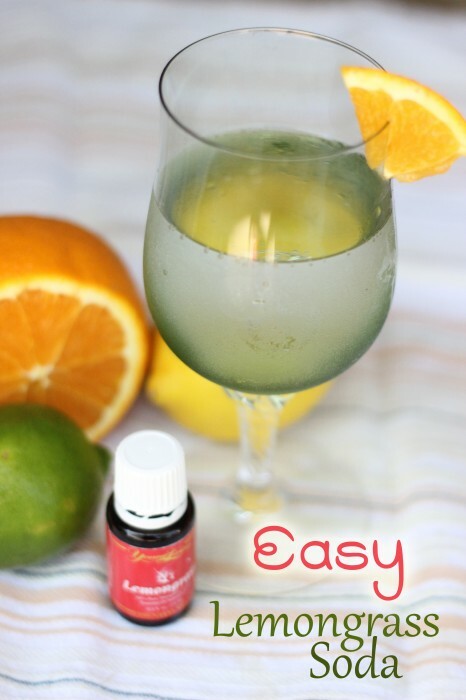 Make your own lemongrass soda this summer without boiling or straining anything! Delish! Mom claims it tastes like the mystery house soda she had at the airport. Too bad it isn’t on all P.F. Chang’s menus, but at least you can make it yourself at home right? * Only Young Living Essential Oils are safe for internal consumption. For your safety, please do not attempt to create this recipe with oils sold at health food stores. ** Why glass? Pure essential oils dissolve petrochemicals which plastic and styrofoam are full of. Always us a glass when ingesting Young Living Essential Oils. Need some lemongrass essential oil to get you started? 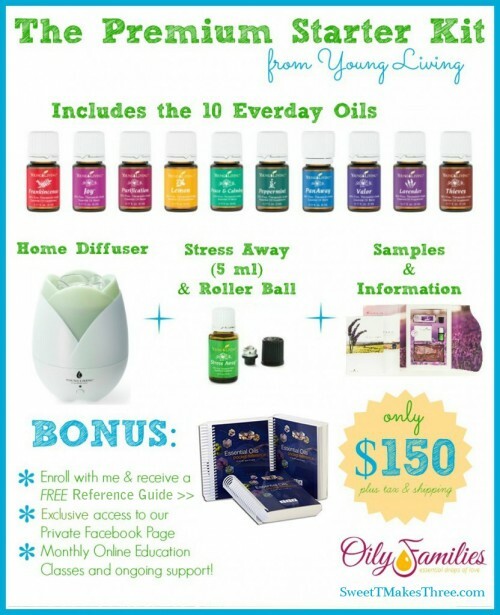 Click to find out how to buy Young Living Essential Oils for yourself at wholesale prices. One Sweet T Makes Three reader will receive a bottle of Young Living Lemongrass Essential Oil!